Rin Grey is the fantasy pen name for romance author Rinelle Grey. Her stories have the same overall feeling and eventual happily ever after, as well as a strong romantic theme, but don’t necessarily meet all the typical romance conventions. Characters may betray other characters, cheat, or go through more than one partner over the course of the story. If these bother you, I'd recommend you click away now! Sign up to Rin Grey's mailing list to be the first to hear all the latest news – new books, freebies, updates, and more. A powerful family's only hope of finding their missing child. Fifty years ago, Elizabeth's untrained magic nearly killed her family. The only way to keep them safe was to run as far as she could. Now she's back, in control, and hiding powerful secrets. 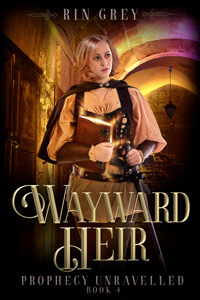 Seventy three years of experience and regret, in a magically enhanced, twenty five year old body, Elizabeth is the only one who can find and bring back her family's heir. To bring him home, she's going to have to return to the Dome and face up to the people who taught her to control her magic, and then rejected her. The people who now have a desperate plan for her fate. 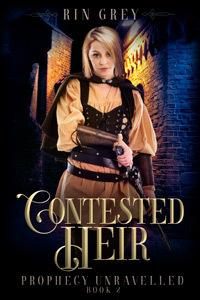 Elizabeth can face down a band of mercenaries without flinching, but her family is another matter. Elizabeth never asked to be heir of the family business. She only took on the role to keep her grandson safe. She doesn't even know what the position involves, but it can't offer her any of the chances to use her magic that her work as an honourable mercenary did, can it? The more she finds out, the more intrigued she is. She's shocked, even angry, to learn that her family has magic, that they've had it for longer than should be possible. They might know things that even the mage kingdom doesn't. Maybe there's a place for her here after all? But someone isn't happy about her being the heir. They'll stop at nothing to get her out of the picture. How can Elizabeth keep them safe when her predecessor keeps getting in the way? With her grandson's magical studies well underway, it's time for Elizabeth's family to uphold their end of the bargain for his return. The powerful mage king sends one of his princes to help her family retrieve some mysterious magic items in return for a share of the bounty. The mission is fraught with risks, but it isn't the dangerous mercenaries guarding the ancient ruined city that cause Elizabeth concern. If her family attempt to double cross the mages, she could be accused of treason. On top of that, her turbulent past with the prince and the presence of her estranged adult son distract her from the real danger. 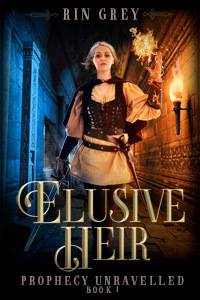 When everything goes wrong, her trust in the mage kingdom throws her family's suspicion back on her. They think her loyalty has been tested and proven. The Salingas have finally accepted Elizabeth as heir and let her into their inner sanctum. And she's fascinated by what she finds there. But reading a mysterious journal from an ancient ancestor shakes her. Why can she see the scenes as though she were there? Just what is her family up to? 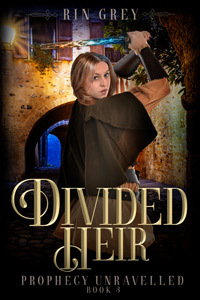 Before she has a chance to find out, fate intervenes, and Elizabeth must choose. Is she the Salinga heir or a mage of Linarra? When you’ve been quiet too long, risk can be its own reward. City Guard Digger hangs onto his honour fiercely, despite realising that laws he enforces are just a charade. Until his captain orders him to do the unthinkable: kill a man without trial. His refusal could cost him everything, including his life. But honour wins. 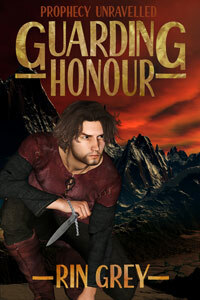 Pursued by his fellow guards, he has no chance of escape. Will he find the courage to change his life for the better?